WESTON XP II | Perry Hood Properties, Inc. 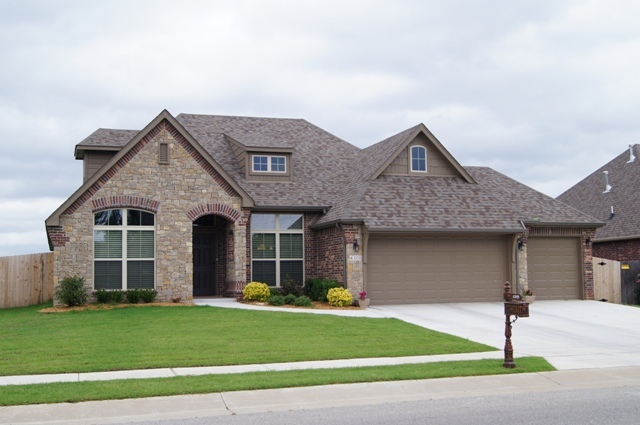 This Perry Hood Properties, Inc. 2 story floor plan has 3 bedrooms, 3 baths and a 2 car garage with approximately 2325 sq. ft. 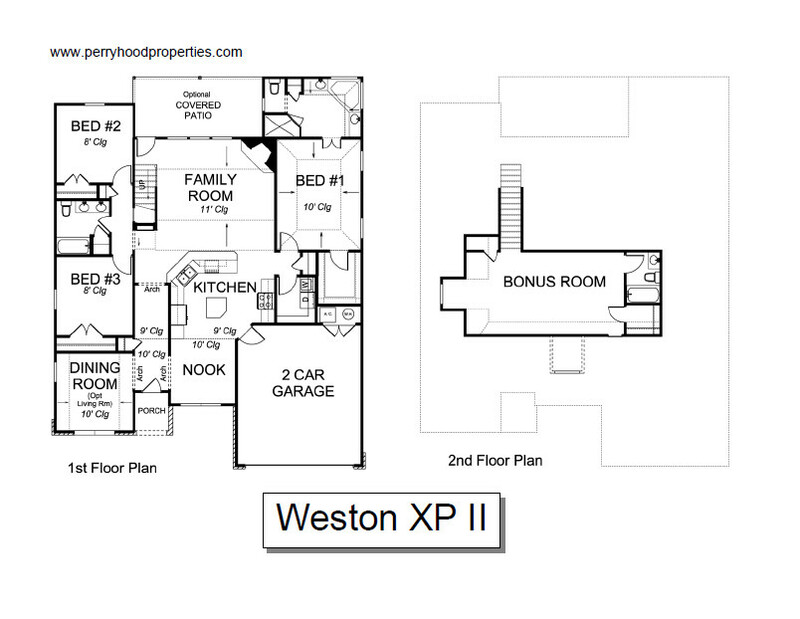 The Weston XP II has an upstairs game room with full bath and closet could easily be used as a very large 4th bedroom. The kitchen features granite, stainless steel appliances, island and an eating bar. The living room has a cozy fireplace and access to the covered patio. The flex room gives you the choice of study, formal dining or additional living area. The hall bath features double vanity and linen closet. The master bath has two vanities, a corner whirlpool tub and separate shower. The large utility room offers ample storage with built-in shelving. Jay Rambo cabinetry throughout is standard. A 2 story option for our most popular floor plan!